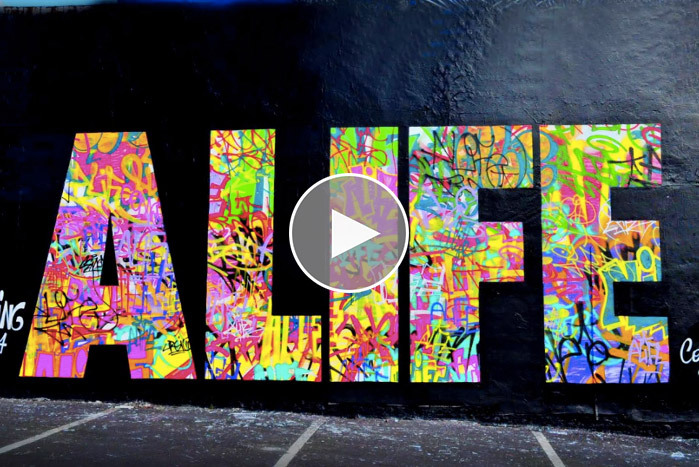 To launch their Spring 2014 collection, ALIFE present a London-centric look at the brand and some behind the scenes footage of the creation of a mural in East London. With the aid of UK distributor Gimme5 and in-house artists the Eighties Conspiracy, the brand have produced this short film which takes in BMX, graffiti and tattooing at London’s Kids Love Ink studio. Product from the new collection is featured throughout, including the allover flag print Terror capsule which runs across tees, fleece, headwear and a coaches jacket. Check out the film above. The ALIFE Spring 2014 collection is available in the UK now from stockists including The Chimp Store and Urban Industry.